Beat eggs and add two spoons of cornflour and salt and mix well. 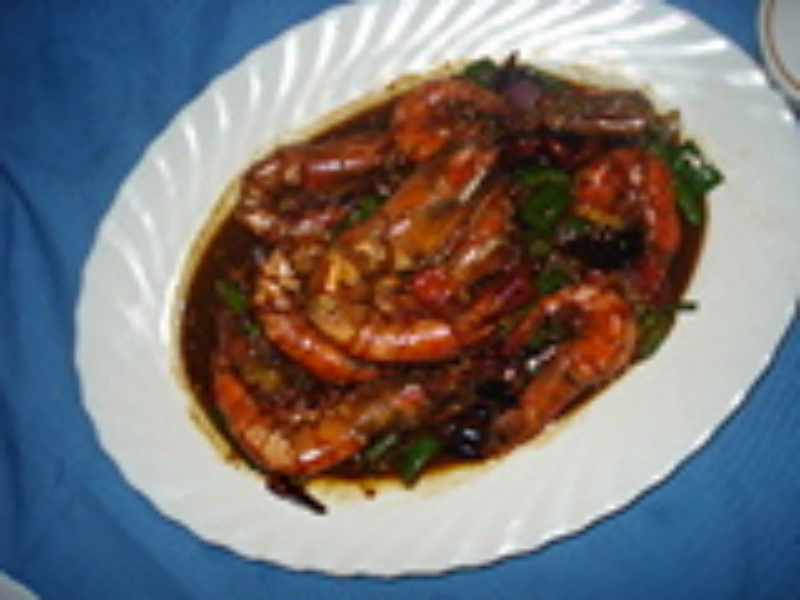 Take prawns, dip and cover them in the egg and cornflour mixture and deep fry it. Heat 1 tbsp of oil in a saucepan and add garlic paste and chopped green chillies. Then add a cup of water, tomato sauce, chilli sauce, soya sauce, salt and ajinomoto and stir well. To this mixture, add cornflour slurry and allow to cook. Serve hot adding spring onion from top. ASAK Sabina, seems like a very nice dish, I will try it out soon,Thanks.